Now before you hit me up on social media telling me what a jerk I am, please allow me to explain. 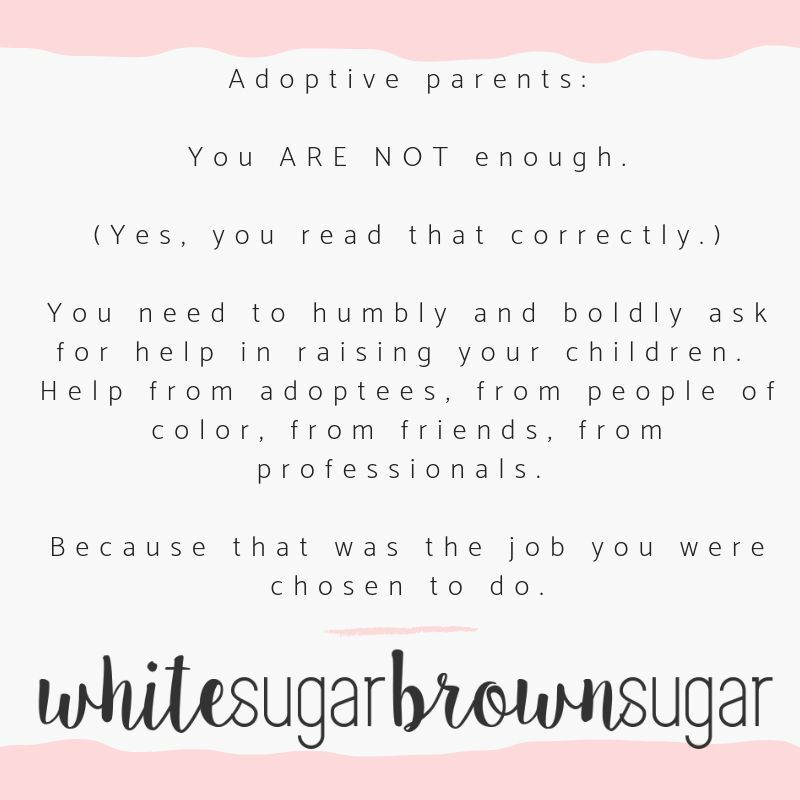 Adoptive parents spend a lot of time proving themselves. It starts when they are simply considering adoption and start applying to adoption agencies. Those applications are like ten pages long and ask some intimate information. Once accepted, a longer application, plus background checks, fingerprinting, interviews, home visits ("inspections), financial forms, a physical, and much more. Then it all has to get approved. 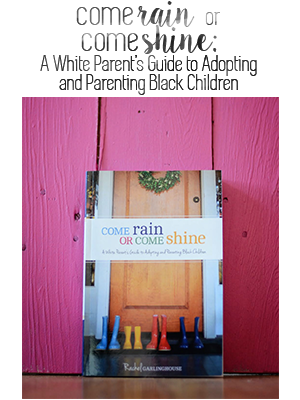 Once approved, an adoption profile book. Then the wait. Then the profile showings and "rejections." Then, eventually, a match. Perhaps a relationship with the expectant parent(s). Then the baby is born, and then more waiting. Once a placement happens, the six month (give or take) waiting-to-finalize period in which there are post-placement home visits by the social worker, more physicals (of the baby), and reports. Finalization: the ultimate "are you worthy" moment. It's a lot of holding your breath. Of wondering, worrying, and confusion. Walking on eggshells, even. I'm not complaining. I'm stating the truth. Proving yourself is HARD. It's mentally draining. It might even contribute to post-adoption depression. The "prove yourself" is a necessity, of course. No ethical social worker is going to place a baby with a family that isn't capable of parenting an adoptee. But that doesn't change the difficulty of always being "on." Once you've proven, time and time and time again, that you are worthy of parenting, then comes the real life part: actually parenting. And I know sometimes (oftentimes?) you want to DIY. You have yearned, planned, waited. You are READY to DO THIS! But I'm here to tell you, after my decade (plus) of parenting, you are not enough for your child. 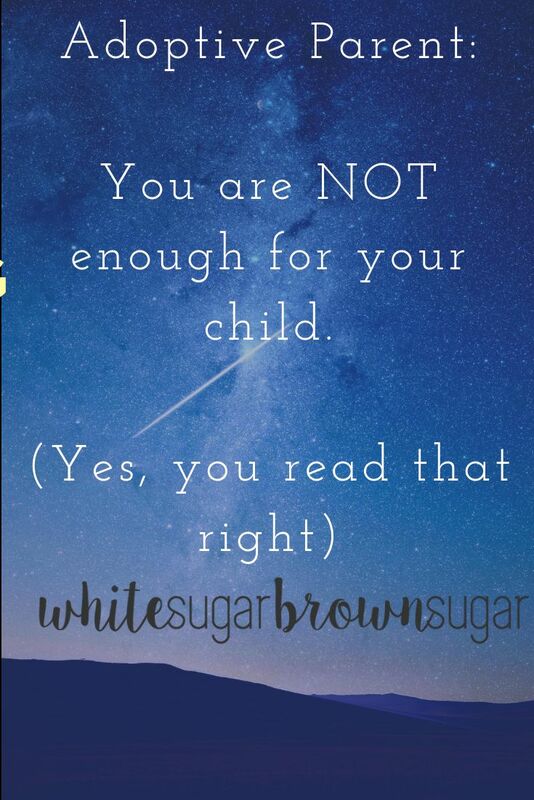 You are NOT enough for your child. When you chose to adopt, you chose a very serious, honorable role as a child's mom or dad. But not just ANY child's mom or dad, an adoptee's mom or dad. Some argue that there's "no difference" between biological and adopted children. I do not have the experience of having both. All of my children were adopted. However, adoptees tell us, time and time again, that we need to parent our kids in a way that is empathetic to their experience as adopted people. In essence, adoptees do not share the same experience as biological children. They often have gaps or mysteries in their pasts, how they "came to be." They have big feelings and questions about adoption. Holidays can be hard. Traumaversaries are real. Family tree projects can be challenging. 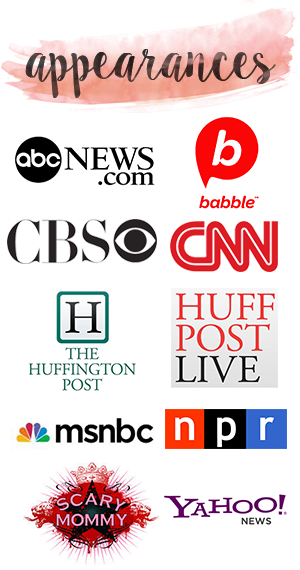 These are just a few of the many examples. And because you didn't conceive, grow, and birth your child, there IS a difference in parenting an adoptee vs. a biological child. Biological ties are STRONG and innate for some adoptees, and that should be respected. 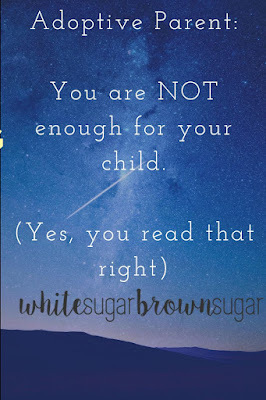 What can you do about it, knowing that you aren't enough for your child? 1: Always respond with empathy. This is my #1 piece of advice. Your child's struggles SHOULD NOT be met with anger, a brush-off, defensiveness, offense, or anything else besides empathy. But in order to be empathetic, you MUST understand your child's position. Therefore, you have to get educated on adoptees: proactively! 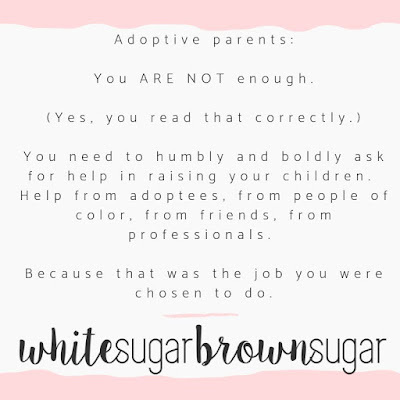 Of course, there is no "one size fits all," but you should explore resources created by adoptees (blogs, books, articles, documentaries, conference speeches, etc.) in order to be prepared! 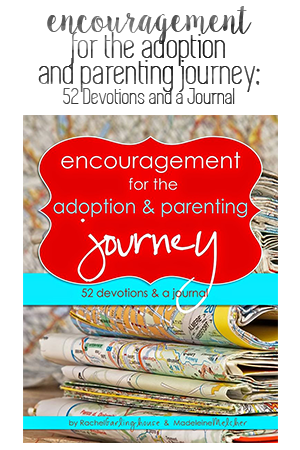 Two of my favorite adoptee resources are Michelle Madrid Branch's site and Madeleine Melcher's book. 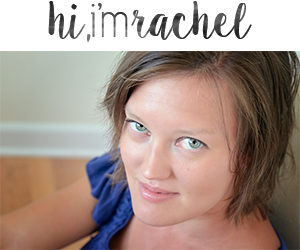 I frequently suggest adoptee-created resources on my Facebook page, too. 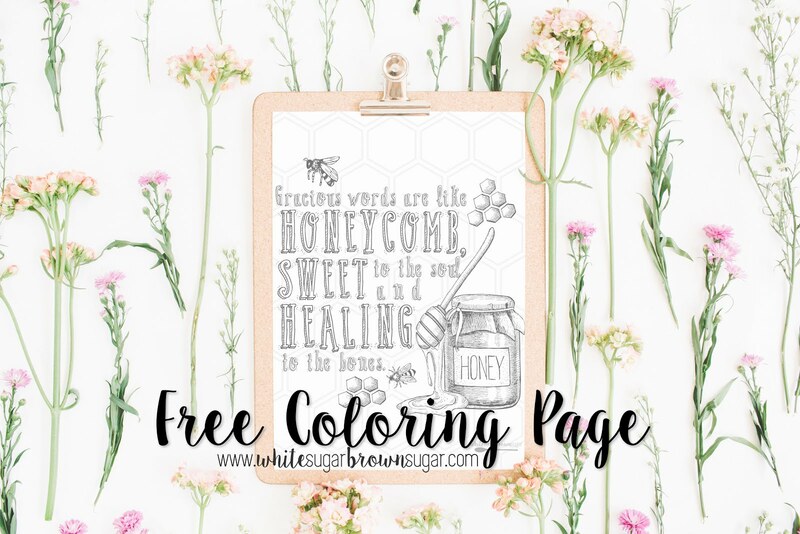 (You can grab my free e-book that talks about the importance of empathy here.) 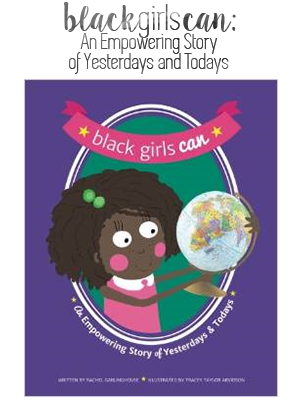 Have plenty of adoption books on-hand like these transracial adoption children's picture books. NOTHING beats face-to-face, hand-in-hand, heart-to-heart conversations. Social media is awesome, as it can connect people across the world that we may otherwise never know. However, those relationships aren't intimate or sacred. 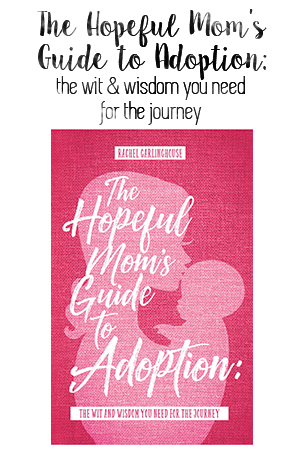 3: Have an adoption-competent counselor on stand-by. Again, be proactive. Find an adoption competent counselor you/your family can check in with when need-be. 4: Have a mentor for your child. I talk about this often in my writing and speaking engagements, because it's so critically important. Ideally, this person is a same-race (as your child) mentor or an adoptee (or both). 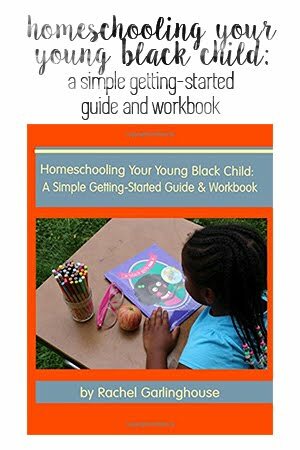 5: Understand and appreciate your child's racial culture and implement it. For our kids, we have a hair braider (for the girls) and a barber (for our son) who are both Black adults. 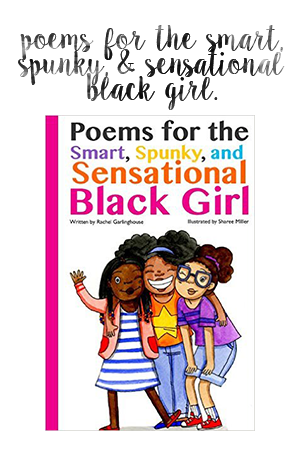 We also frequent Black owned businesses and historical sites/festivals, and buy books/movies/art/music/toys that feature Black people. For ourselves as the parents, we read Black written articles, subscribe to Essence magazine, watch movies that educate us, etc. The learning NEVER stops. The connecting NEVER stops. Tell your kids the truth: that you are SO thankful to be their parents, and you invite others in to your "inner circle" in order to make sure your children feel appreciated, supported, and racially/adoptionally confident. 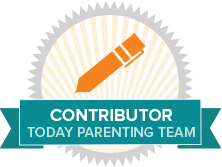 How have you supported your child?